Chiron Healing® is an ancient energy healing practice that aims to restore balance within the subtle energy systems of the body. Drawing from the great knowledge of Chiron, specific gentle, non-invasive techniques and philosophies work to clear, repair and strengthen, then protect the Etheric pattern allowing Life sustaining Source energy to flow through the many intricate lines and levels of our energy Pattern pathways. Chiron Healing® is not involved with the diagnosis and treatment of disease or illness, and does not claim to be a substitute for traditional medical treatment. God Bless the ‘New Millennium’ Child, It brings the Gaian knowledge –Wild. 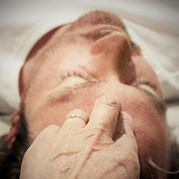 A Chiron Healing® session is a nurturing and comforting experience. The patient remains fully clothed and reclines face up in a comfortable position. It is, however, possible to conduct the healing face down or seated upon request. 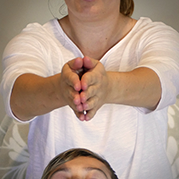 Sessions are gentle & relaxing, conducted within a safe healing space. 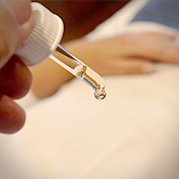 There is minimal physical contact, Chiron Healing® is completely non-invasive; making it a pleasantly restful experience. It is recommended that you allow 60-90 minutes for your session. IACHI is the only authorized NFP professional association dedicated to supporting Chiron Healing® students, practitioners and teachers in Australia and Worldwide. We are committed to passing on the ancient teachings in the Master’s way. Chiron Healing® techniques and philosophies have remained strong through the passage of time. All qualified Chiron Healing® Teachers are experienced Practitioners who elect to further embark on teacher training in order to share their Chiron skills & knowledge. Take time to contemplate the flower, It will provide a pleasant hour.